Looking for complete instructions on manipulating, processing, cleaning, and crunching structured data in Python? The second edition of this hands-on guide—updated for Python 3.5 and Pandas 1.0—is packed with practical cases studies that show you how to effectively solve a broad set of data analysis problems, using Python libraries such as NumPy, pandas, matplotlib, and IPython. 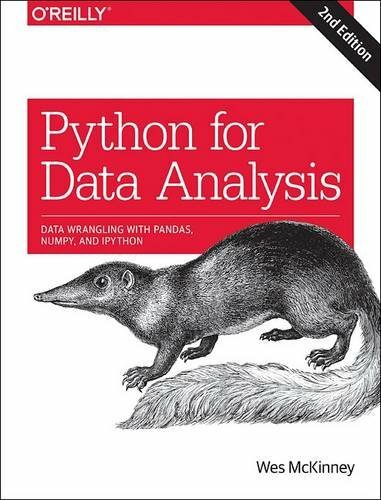 Written by Wes McKinney, the main author of the pandas library, Python for Data Analysis also serves as a practical, modern introduction to scientific computing in Python for data-intensive applications. It’s ideal for analysts new to Python and for Python programmers new to scientific computing.